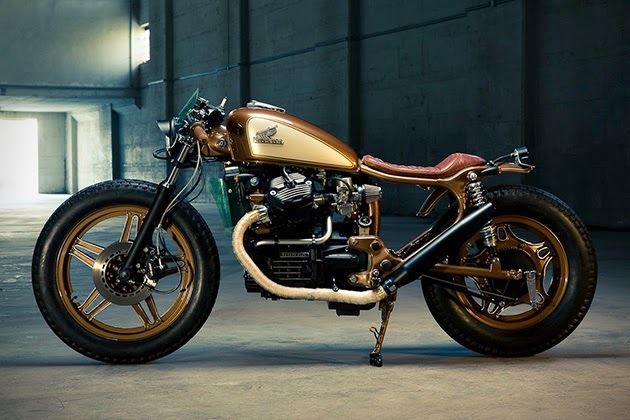 For a bike that was known as the “plastic maggot,” this custom CX500 has certainly transformed into quite a majestic butterfly. 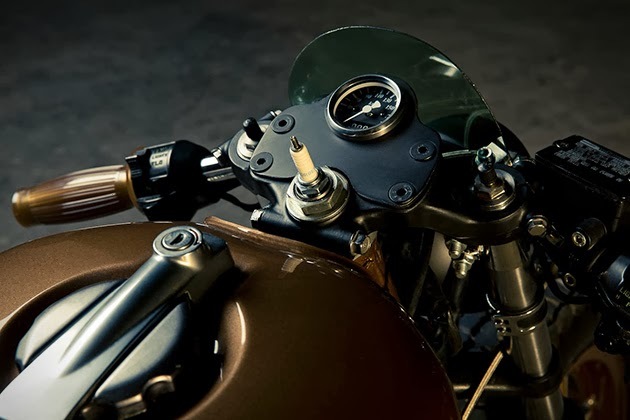 Dirk Oehlerking with Kingston Custom is the man behind this amazing metamorphosis, taking a middleweight motorcycle from the late 70s and turning it into a little golden treasure for 2014. Stripped bare, Dirk left no stone unturned or screw unscrewed here. The bike’s transverse V-twin engine received a sheen of thermo-sensitive coating, while the exhaust manifold is wrapped with thermal tape. 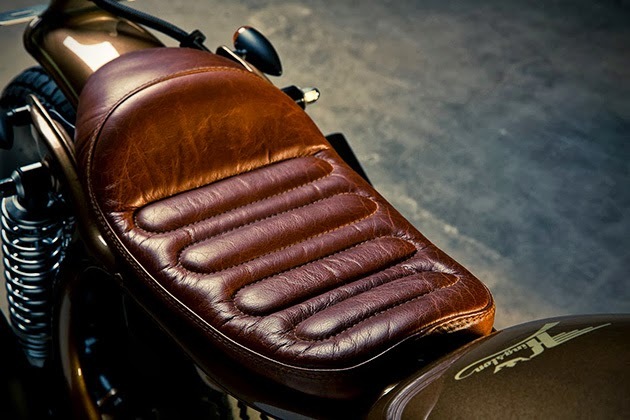 That comfy bench seat is handmade, along with the battery box, fenders, foot brake lever, and the pint-sized fairing on top. 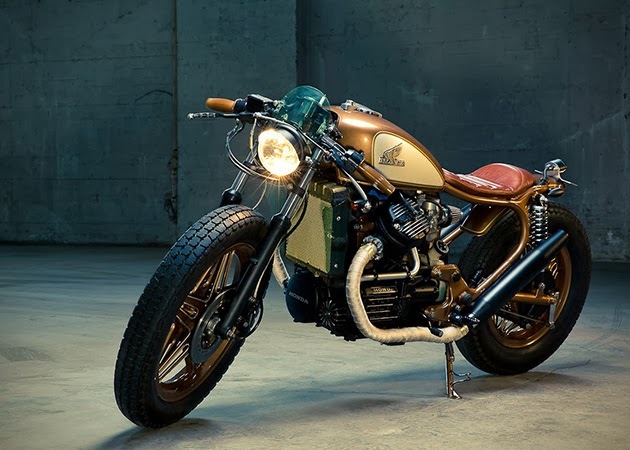 There’s a modified Harley exhaust, footrests from an XT 600 Yamaha, stub handlebars via Fehling, a Bates headlight with a Harley cap, and tires by Avon. 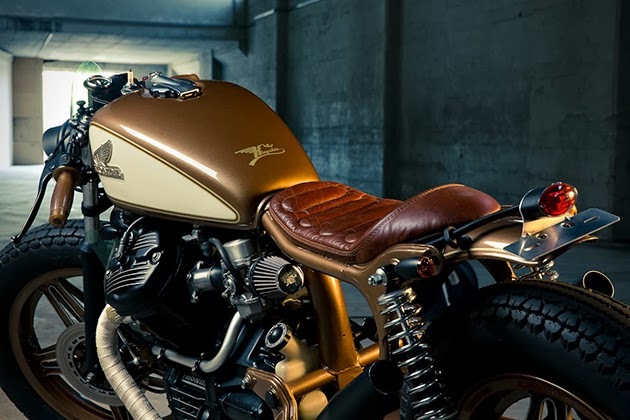 The gold paint job is simply the icing on the cake for this café racer.